During one 14-month period, from August 2004 to October 2005, eight hurricanes pummeled Florida, causing more than 200 deaths and billions of dollars in damage. Hurricane Wilma, the final blow, killed five people, cut off power to more than three million homes and businesses, and caused nearly $17 billion in damage. Florida’s state-run insurance entities are flush, and the property insurance market is again healthy. The state has projected that a major hurricane would force many businesses to close and would require years of rebuilding. If Florida’s taxpayers are vulnerable, it’s because the state government is a huge player in the state’s insurance market. The pounding cost taxpayers a pretty penny: the legislature shifted $715 million from the state’s general fund to pay some losses, while state-controlled insurance programs imposed hurricane taxes on policyholders, raising billions in new revenue over the next several years. Not a single hurricane has touched Florida since. A state that averages a hurricane almost every other year has not seen one since 2005. As a result, Florida’s state-run insurance entities are flush, the property insurance market is again healthy and state officials are confident they can handle even the worst of storms. But can they? One big storm could easily create fiscal calamity and public desperation, as demonstrated by the Great Miami Hurricane of 1926. Without today’s advanced tracking and communications systems, residents had little warning of the storm’s severity. Many were also hurricane newbies—Miami was in a period of growth. Accounts of the event recall people swelling into the streets thinking the storm was over, when it was actually just the eye passing through. After 35 minutes of calm, the storm raged again, catching many off guard. The 150-mile per hour winds, 10-foot storm surge and other forces killed at least 372 and caused $164 billion in property damage in today’s dollars. “If Florida is hit by a major hurricane and then hit again the next year, it could very well plunge the state into a fiscal nightmare,” says Christian Camara, the Florida director of the R Street Institute, a Washington-based think tank. Camara closely monitors the state’s property insurance system and says state-sponsored insurance funds and private insurance companies have adequate reserves to cover losses from a major hurricane. But a near-term subsequent hurricane would tap out state reserves and force some private carriers into insolvency unless the state legislature once again comes to the rescue with a massive bailout, he says. The economic consequences to Florida could be staggering. The Florida Department of Financial Services reported several years ago that a major hurricane would force many businesses to close, displace Floridians, and require years of rebuilding. Additionally, the agency said, industries such as tourism would be significantly affected, as thousands of visitors would be forced to go elsewhere. According to the Insurance Information Institute, Florida remains the most hurricane-prone state in the United States. From 1985 to 2014, the Sunshine State accounted for $68 billion in insured catastrophic losses, or nearly 14% of the national total. Given that risk, the cost of property insurance in Florida remains sky high. Homeowners pay an average of $2,084 annually in property insurance premiums, or double the national average, according to the National Association of Insurance Commissioners. Those premiums were increased, in part, because three state-controlled insurance organizations imposed $6.4 billion in special assessments—hurricane taxes—to cover hurricane claims and, indirectly, insurer insolvencies. Those assessments were levied on insurers and passed along to policyholders beginning in 2004. If Florida is hit by a major hurricane and then hit again the next year, it could very well plunge the state into a fiscal nightmare. If Florida’s taxpayers are vulnerable, it’s because the state government is a huge player in the state’s insurance market. One of the state-sponsored organizations, Citizens Property Insurance Corp., is the largest property insurer in Florida. Along with the Florida Hurricane Catastrophe Fund, a reinsurer widely known as the Cat Fund, and the Florida Insurance Guaranty Association, Citizens helps form the foundation of Florida’s property insurance industry. All three appear to be in excellent financial shape. In short, the 10-year hurricane drought has been a godsend to Florida’s insurance industry. The unprecedented streak of good luck has permitted Citizens and the Cat Fund to build their cash reserves and improved the ability of private insurers to handle the next catastrophe, according to government and insurance analysts. 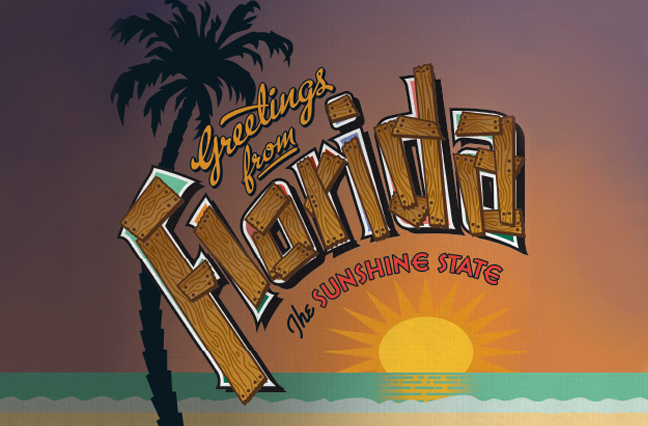 In an interview, David Altmaier, the deputy commissioner for property and casualty in the Florida Office of Insurance Regulation, says Florida insurers have benefited from a booming and competitive reinsurance market that’s awash in capital. He also points to a recent “catastrophe stress test’’ conducted by the state insurance office that demonstrated property insurers have sufficient financial cushion to withstand significant catastrophic losses. Florida’s complex, government-run insurance system grew largely from the rubble of Hurricane Andrew, a 1992 Category 5 storm that tore through south Florida with winds of more than 165 miles per hour. The storm devastated parts of Miami-Dade County, including Homestead, Florida City and Miami, destroying or damaging tens of thousands of businesses and homes. Andrew killed at least 40 people and left 250,000 temporarily homeless, according to the National Hurricane Center. “It actually woke people up in terms of how large a loss could be,” says Jack Nicholson, the longtime COO of the state’s Cat Fund. As Andrew approached landfall, the insurance industry underestimated the damage the hurricane could inflict (initial estimates were in the neighborhood of $4 billion to $5 billion). In reality, Nicholson says, the storm caused insured losses of $16 billion (in 1992 dollars). Andrew changed everything—and not just for Florida. “Hurricane Andrew forced individuals, insurers, legislators, insurance regulators and state governments to come to grips with the necessity of preparing both financially and physically for unprecedented natural disaster,” says Lynne McChristian, the Florida representative of the Insurance Information Institute. Some insurers began to flee the state. Eight went under. Others required cash infusions from parent companies to pay claims and avoid bankruptcy. Business and homeowner policies were cancelled or not renewed, and some carriers sought large rate increases. Florida officials knew they had to act decisively to protect customers and stabilize the market. So in 1993, the state placed a limit on the percentage of personal and commercial property-casualty policies that could be cancelled or non-renewed. The legislature also created the Office of Insurance Regulation to license companies and monitor their financial condition. That same year, the legislature created the Cat Fund, a tax-exempt state fund that sells reinsurance to companies that write residential property policies in Florida. By law, private insurers must buy some of their reinsurance from the Cat Fund; such premiums now total about $1.3 billion annually. If the Cat Fund runs out of funds to pay claims, its managers can raise money by issuing bonds. The fund’s financial health is critical to all state policyholders not only because they want any future claims paid but because the state agency can levy an assessment on most policies in Florida—including auto, boat, home and business—to pay off any debt. Indeed, the ferocious hurricane seasons of 2004 and 2005 wiped out the Cat Fund’s $6 billion reserve, forcing the agency for the first time in its history to impose an assessment on all property-casualty policies. The Cat Fund used the proceeds from the special tax to retire bond debt issued to pay off remaining hurricane claims. Finally, in January 2015—eight years after it was imposed—the assessment ceased on most property insurance. During that period, policyholders shelled out $3.3 billion to cover the fund’s obligations. The Cat Fund’s reinsurance program is a good bet for insurers writing residential policies, allowing them to spread their risk. Additionally, the fund sells its reinsurance more cheaply than private reinsurers. Its operating costs are less than 1% of the annual premiums collected from insurance companies, according to the Cat Fund’s most recent annual report. In contrast, the Cat Fund says, the operating costs of private reinsurers can range from 10% to 15% of premium collected. The organization pays no reinsurance brokerage commissions, nor does it have any underwriting costs, due to the mandatory nature of carriers having to purchase its coverage. And as a tax-exempt entity, the fund does not pay state or federal income taxes. By law, the Cat Fund currently can reinsure $17 billion of risk—a figure its leadership would like to see lowered to protect consumers from additional assessments. According to the fund, over the past decade it has built a comfortable nest egg—$12.7 billion in surplus—that it can use to pay claims when the next hurricane strikes. If Florida continues on its current path of growth, growth, growth, the reality is we will have large, catastrophic losses at some point. Like the Cat Fund, the state-run Citizens Property Insurance Corp. has the legal authority to issue bonds and levy assessments on many insurance policies issued in the state. Citizens was set up in 2002 as the state’s “insurer of last resort”—that is, to provide property-casualty insurance to customers who couldn’t otherwise buy insurance in the private market. But Citizens’ role in the marketplace changed dramatically in 2007 when the new governor, Charlie Crist, followed up on his campaign promise to cut insurance rates. Crist’s insurance reforms, adopted by the legislature in a special session, froze Citizens’ rates at 2006 levels, a move that critics describe as a de facto price control because it gave Citizens a big price advantage over private competitors. The new law also contained a provision substantially increasing eligibility for customers to buy insurance from Citizens. They couldn’t wait to sign on, and Citizens became the largest property insurer in Florida, with 1.5 million policies in force and $510 billion in risk. Eventually, the legislature lifted the rate freeze, replacing it with a plan allowing Citizens to increase its rates by 10% a year. Even with those changes, Citizens’ rates in high-risk coastal areas remain too low, company officials say. In some areas, the company says, it would need to dramatically increase its rates to make them actuarially sound. In the Tampa area, for example, the average premium for a multiperil policy is $1,558 annually, according to Citizens. To be actuarially sound, a premium should cost $2,876—meaning premiums are nearly 85% underpriced. Citizens remains the largest property insurer in the state, but it has been moving in recent years to reduce its risk and the likelihood of future assessments. Under a program known as “depopulation,” private insurers can request approval from state insurance officials to “take out” policies from Citizens’ book of business. Policyholders have the option to reject the transfer—and nearly half are doing just that. In 2015, Citizens says, 191,530 Citizens policyholders, or 46%, have declined to move to another insurer. Nonetheless, Citizens says the depopulation program has been a roaring success. Over the years, the company has shed more than one million policies, and it now holds about 485,000 policies, including 195,000 policies in high-risk coastal areas. Its total risk has been drastically reduced to $143.5 billion, according to data Citizens provided to Leader’s Edge. The company says it plans further reductions, perhaps to 425,000 policies. Citizens, too, has imposed assessments to recoup hurricane deficits created by Hurricane Wilma and the seven other hurricanes that pummeled Florida in 2004 and 2005. The assessments, first imposed in 2004 on property insurance policyholders, including those with Citizens, generated a total of $2.06 billion. The final assessment was eliminated last July, and Citizens’ officials are confident they won’t need to impose a new assessment any time soon. Florida property owners certainly hope so. Florida’s potential exposure to hurricane damage was vividly demonstrated by Karen Clark & Co., a Boston-based computer modeling firm hired to estimate likely property damages and losses from hurricanes, earthquakes and other catastrophes. The firm’s study, which estimated losses from storm surge floods in coastal cities experiencing a powerful hurricane, placed four sites in Florida—Tampa-St. Petersburg, Miami, Fort Myers and Sarasota—among the eight most vulnerable areas in the United States. Financially, we simply have never been in better shape. Barry Gilway, CEO and executive director, Citizens Property Insurance Corp.
Miami ranked number four with an estimated loss of $80 billion. Fort Myers was the fifth most vulnerable with loss estimates of $70 billion. Sarasota, ranked seventh, would sustain an estimated loss of $50 billion. Florida is now the nation’s third most populous state, with 19.9 million residents, and the vast majority live in high-risk coastal areas, where the development of residential and commercial property has exploded over the past decade. Coastal risk has grown from $1.9 trillion in 2004 to nearly $3 trillion today. At the same time, according to insurance industry experts, stronger building codes may have made newly constructed homes more hurricane-resistant.